Students at Virginia Commonwealth University are headed back to college with new clothes, books and the LiveSafe mobile app to keep them safe on campus with a GPS network connecting them to school security. 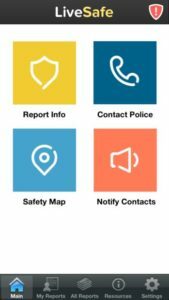 Rosslyn-based LiveSafe’s free mobile app is designed for college students to use geo-location on their phones to anonymously report incidents or suspicious behavior on campus, or even to request college security to monitor them late at night. More than 20 law enforcement agencies and schools have used LiveSafe as pilot programs since the app launched in April. 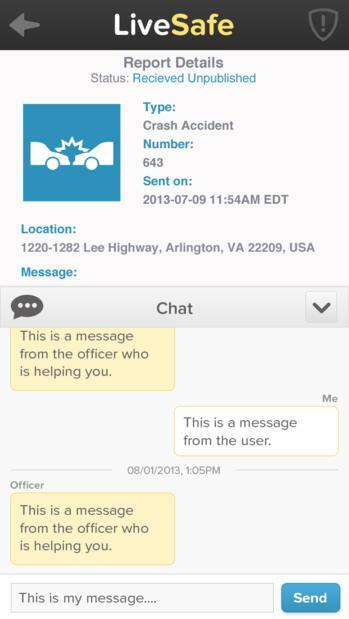 The company is transitioning those trial periods into sales of the GPS map dashboards, which allow security officials to follow LiveSafe’s crime and safety alerts. The 2013-2014 school year will be the first big test for the app’s popularity, said LiveSafe Co-Founder Kristina Anderson. Downloads of the app are spiking with the start of the school year at three colleges that have formally purchased the dashboard, including Virginia Commonwealth University, she said. Campus security is a personal mission for Anderson. During the mass shooting at Virginia Tech in April 2007, Anderson was shot three times hours after the first shots were fired on that terrible day. Hopefully the LiveSafe mobile app that gives police GPS locations of alerts will help spread awareness during emergencies, she said. The Andalusia City Police Department in Covington County, Ala., is one of the first police departments to purchase the LiveSafe dashboard to monitor alerts in their community. 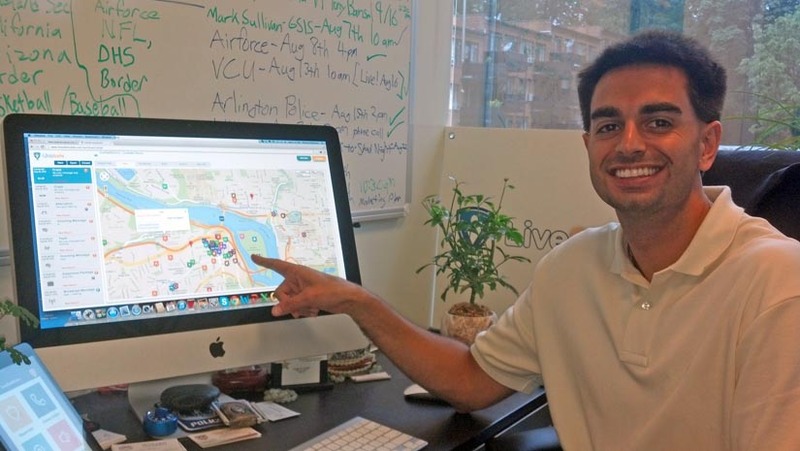 The Arlington Police Department is considering using the LiveSafe dashboard, and the company is “in conversations to sell the dashboard to government agencies, stadiums and military bases,” said LiveSafe Co-Founder Shy Pahlevani. The organizers of the Arlington Police, Fire & Sheriff 9/11 Memorial 5K also coordinated with LiveSafe to provide the app as an information source for the participants of the 5K, sharing race-related information including weather delays and safety tips, Anderson said. “If I’m at the race and I’m using the app, I can report three bikes being stolen. Then others can add new tips on that crime when they see that anonymous tip on the map. That empowers me as a user to share information,” Pahlevani explained. The company raised $1 million from individual investors and is now marketing the app to colleges at the price of $2 per student on a campus, Anderson said. Since founding in January the company has grown from three people to 15 employees, Anderson said. On Aug. 29, the staff moved from the UberOffices co-working space for startups to a larger office in the same building owned by Monday Properties at 1400 Key Blvd. Geo-location is a growing market for apps, so LiveSafe is looking ahead for ways to expand as the app becomes more popular and gathers data on its maps, Anderson said. Pahlevani would like LiveSafe to mimic the social mapping format of Waze by mixing geo-location data with social networking. Google acquired the Israel-based social mapping startup Waze in June for $1.1 billion. 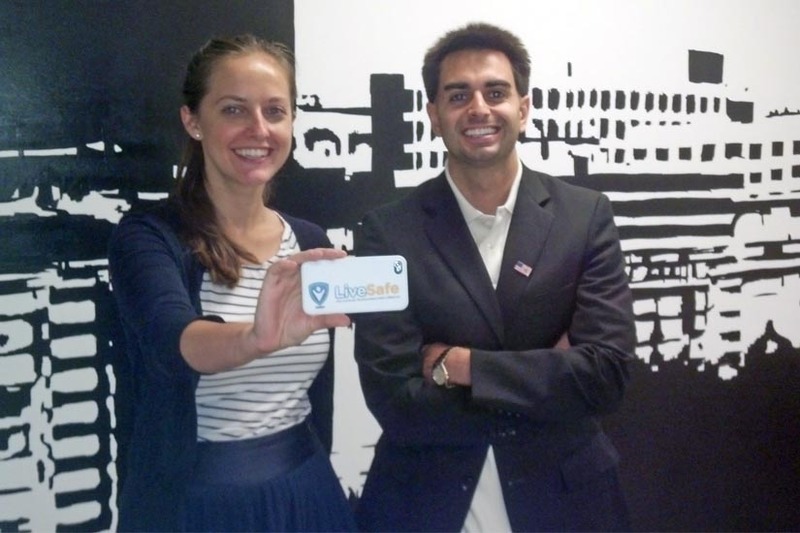 Both Anderson and Pahlevani bring previous startup experience to LiveSafe. Anderson previously worked on an e-commerce startup in Seattle called SparkBuy, which Google acquired in 2011. 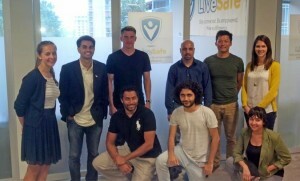 LiveSafe’s Executive Chairman Jeff Grass worked with Pahlevani on an e-commerce startup called BuySafe, of which Grass is the CEO. After being robbed at gunpoint in Washington, D.C., Pahlevani began working on a mobile security alert app called CrimePush, which became LiveSafe. “The entrepreneur in me wanted to create a mobile app to alert law enforcement,” Pahlevani said.